“The festival was formed in 2017 with Australian jazz at its core. 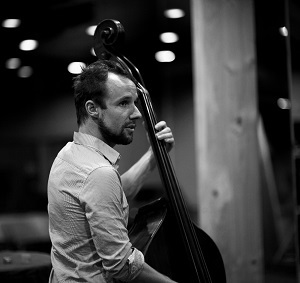 When we refer to the festival as ’international’ we refer not only to acts such as the astonishing Gretchen Parlato’s Flor project but we also include in this our own revered artists who take their place on the international stage” says Festival Director and Head of the Sydney Conservatorium Jazz Studies Program, David Theak. The University of Sydney’s Conservatorium of Music together with its Open Academy is set to host its second ever International Jazz Festival on Sunday 3 June. The festival will incorporate a headline concert, leading international artists collaborating with Australian musicians, rarely-heard national ensembles of excellence, cutting-edge Sydney artists and dynamic artists of tomorrow mentored by top Australian jazz musicians. Audiences have been anticipating the long-awaited Australian tour of Grammy-nominated vocalist Gretchen Parlato. Named by Downbeat Magazine as #1 Rising Star and winner of the prestigious Thelonious Monk Vocal Competition, she has been hailed by international media as one of the most exciting vocalists of this generation. With her blend of African and Brazilian inspired cross-genre jazz, The New York Times have praised Parlato’s ability to pry open sweet spots in her interpretations of jazz standards and pop tunes, calling her an “extraordinary singer”. Other festival highlights include; New York giant of the jazz scene Tony Malaby and Canadian improvising pianist Kris Davies, Berlin-based pianist Magda Mayas and drummer Tony Buck (PERIL, The Necks), pianist and Australia Council Fellow, Barney McAll’s ARIA award-winning ASIO project, Stu Hunter’s: The Migration which comprises “one of the great horn sections in Australian music history” (John Shand, Sydney Morning Herald), multi-award-winning artist and Freedman Fellow, pianist Andrea Keller in duo with Don Banks Award recipient, legendary pianist Mike Nock and Jonathan Zwartz’s new ten-piece project, Animarum. Education will also feature; Gold, Day and Morning festival pass holders will gain access to six masterclasses that include Gretchen Parlato and Tony Malaby. This year will feature a new stage in the Con Cafe where continuous swinging ensembles perform throughout the day.